Do you ever just have one of those weeks? Where things just seem to not go your way. I was having one of those last week and was not feeling so great about my homemaking skills. First, I (accidentally) poured half a pot of boiling water down my leg. I was fortunate enough that it was not bad! Then I spilled a ton of oats all over the floor, over filled my vacuum then proceeded to (accidentally) dump all of the dirt in the vacuum onto my kitchen floor. 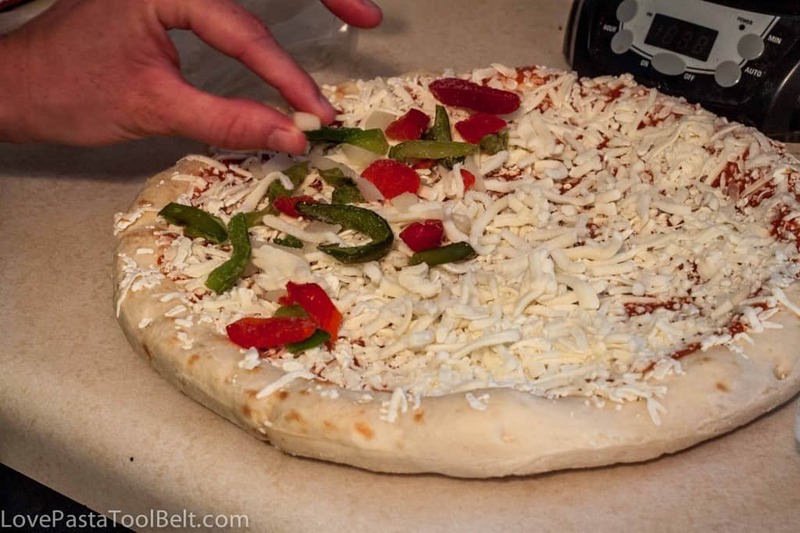 I was feeling a bit full of mishaps I needed an easy but delicious dinner when my sister and brother-in-law were coming over for dinner so I decided to do Family Time with DIGIORNO® Design-a-Pizza Kit. I usually try to cook something we will all enjoy when we have my sister and brother-in-law over for dinner. Now that we live within five minutes of each other we usually have weekly dinners together. But the four of us we all have different tastes. There is my brother-in-law who puts hot sauce on everything and then me whose mouth is on fire when he puts mild peppers in the hamburgers. My sister and my husband love pepperoni but I do not like it. 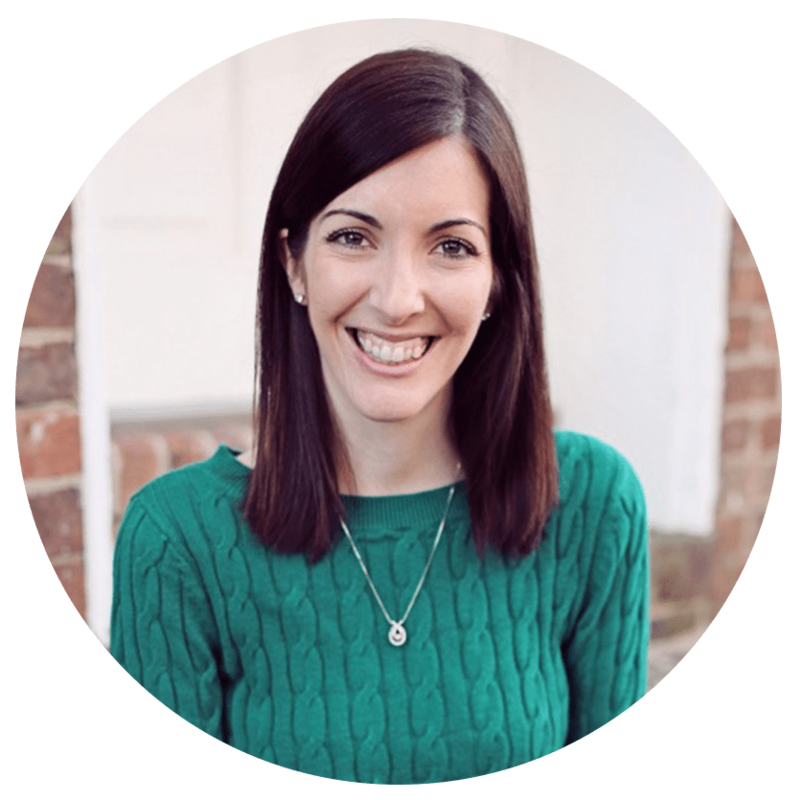 Are you catching the trend here? I’m the picky one. 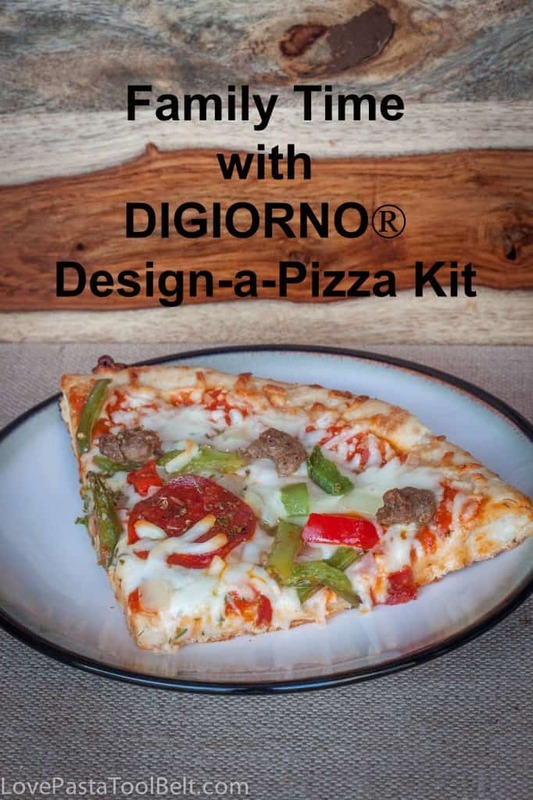 So when I heard about the DIGIORNO® Design-a-Pizza Kit I was really excited. What a great way to let everyone have the pizza they want, right? I headed over to Wal-Mart the day they were coming over to purchase two of the DIGIORNO® Design-a-Pizza Kits. 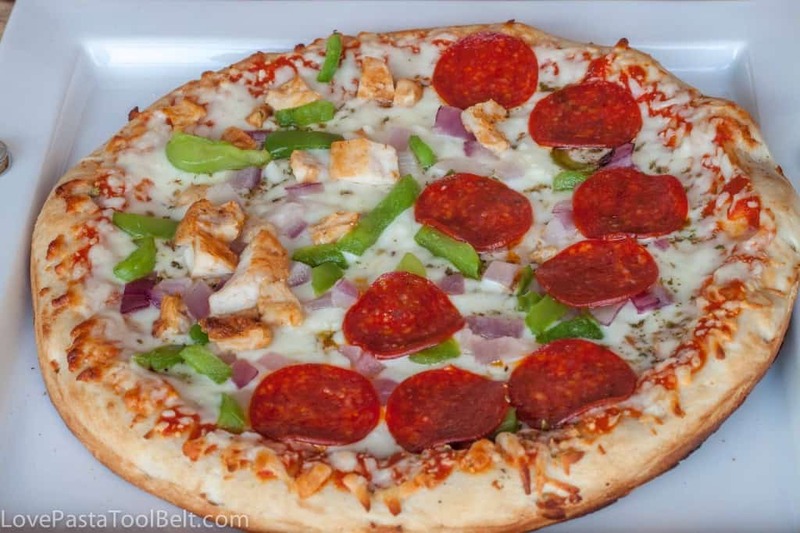 I decided to get the Pepperoni & Sausage with Peppers and the Chicken, Green Peppers and Red Onion with Pepperoni. Tyler got delayed due to a car wreck (but was ok thank goodness!) so my sister and I decided to embark on making the pizzas ourselves because we know our husbands tastes. 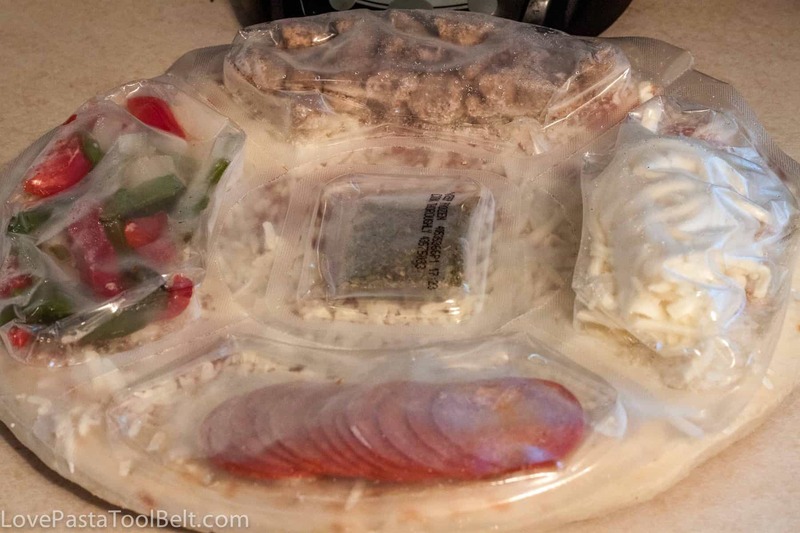 I love how the toppings were all easily packaged and we were able to create our own slices of pizza. I chose chicken, green pepper and red onion for my pizza slice. I’ve got to say pizza isn’t my favorite thing in the world and I’ve never had the best experiences with frozen pizza but this pizza was delicious! The crust was perfection. It was like eating a breadstick. It was seriously so good and I loved that we were all able to design the pizzas to our personal tastes. 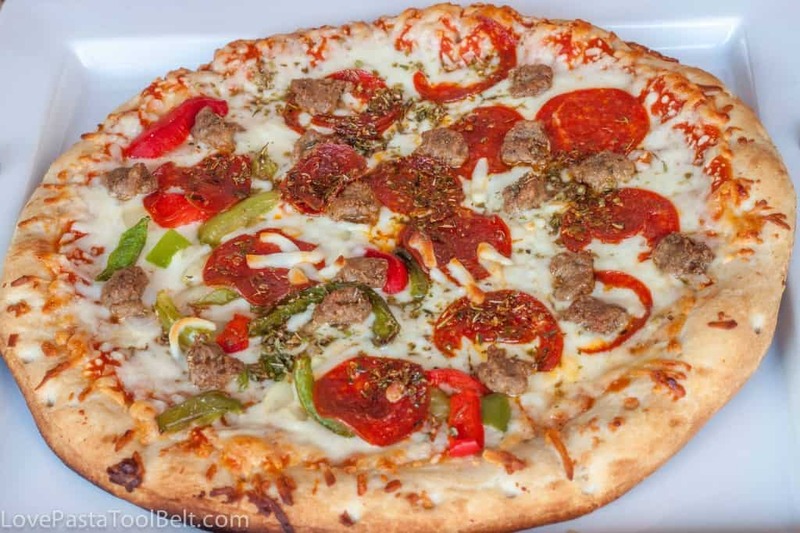 These DIGIORNO® Design-a-Pizza Kits are the perfect dinner option especially when you have picky eaters like me or just don’t want to have to choose just a couple of toppings. Have you ever tried one of the DIGIORNO® Design-a-Pizza Kits? If not then you should head out to Wal Mart and pick a couple up for this weekend. They are perfect for a family night or a party. Tell me, what is your favorite pizza topping? Mine is either extra sauce or extra cheese. I know, I’m so exciting! We love these pizza kits! Just made 2 of them last week! Aren’t they delicious? And so fun! I haven’t seen these in the store yet, but they look really cool! I know what you mean about bad weeks. I have had some, too. I didn’t know that there was a design a pizza kit. I like to have a few convenience foods on hand for those types of situations. It was such a great option and fun to design your own pizza! They are delicious!! And a nice easy idea for family night! Hey…this would be cool for me. I can’t have pizza sauce, so I could make it without. And my fav topping is canadian bacon & extra cheese…it’s a toss up! Hi Bobbi! It’s delicious but it does actually come with the sauce already on it :(. We picked a few up. Kids love them and love that they can make their own food and pick what they want. Perfect! They are great for kids! Glad to know that your leg is OK. Thank you :). Yes it really helps to have a nice easy meal! Oh my! Sounds like you had a tough week. Hope you’re ok after that water incident. Those pizzas look yummy! Thank you! I am ok! The pizza’s were so delicious!